The change of seasons means cooler temperatures, leaves falling and the inevitable pumpkin beers. Some brewers take a different approach, however. 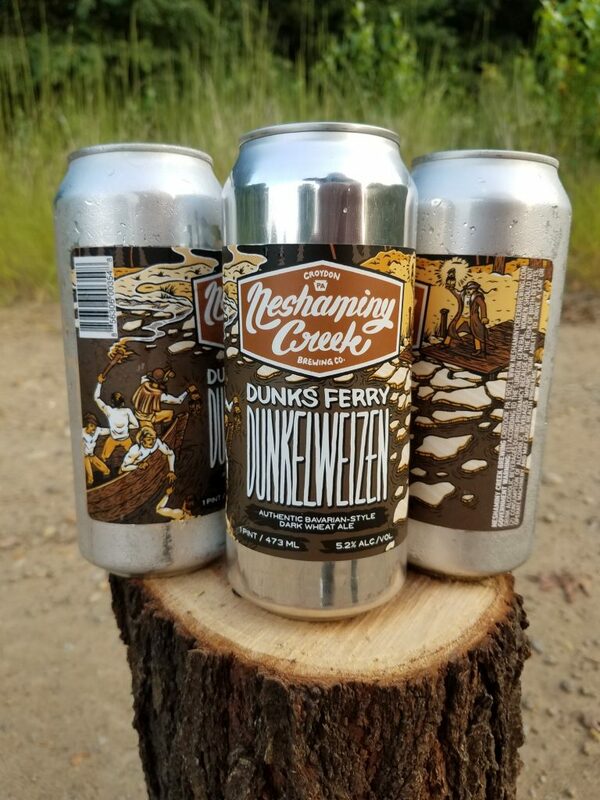 Instead of pumpkin beers, they opt for darker beer styles, like Dunks Ferry Dunkelweizen from Neshaminy Creek Brewing Company. Brewed in Croydon, Pennsylvania on the outskirts of Philly, this 5.2% ABV authentic Bavarian-style dark wheat beer is brewed with wheat malt, Herkules, Hallertau and Tettnanger hops, and fermented with a hefeweizen yeast. Poured into a hefeweizen glass, the body is mahogany to burgundy in color with moderate khaki-colored foam. The head of the beer falls fairly quick but leaves a lace ring on top that stays constant. The smell of clove, over-ripe banana and star anise are up front, with subtle scents of sweet bread, honey and cyprus wood behind them. The taste leads with a wood-like character like oak or cyprus wood, although is not put in a barrel. It then turns to an herbal tang from noble hops finishing on banana, clove and licorice. Esters from the yeast and alcohol sit throughout. Moderate carbonation and tang from hops keeps it from becoming a sweet beer. The best way to describe this beer, to me, is tangy banana bread. 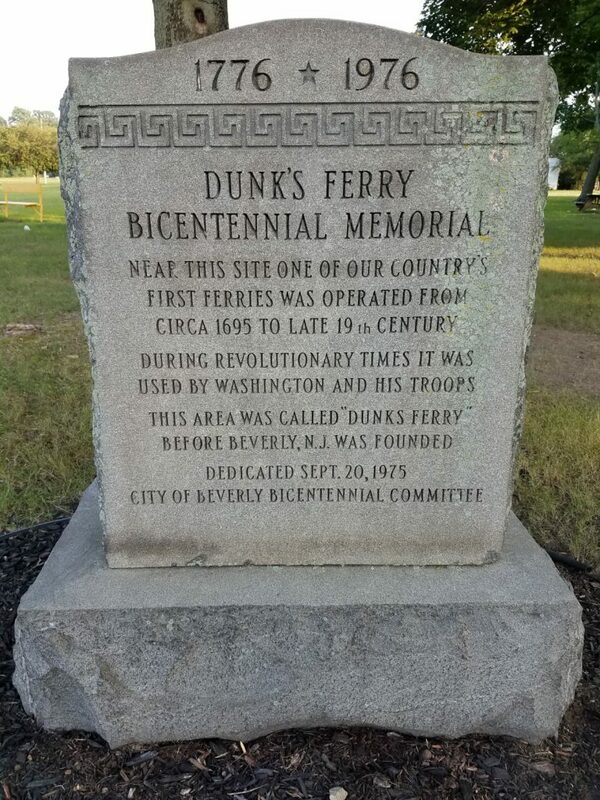 Site of Revolutionary War “Dunks Ferry” located in Beverly, NJ. 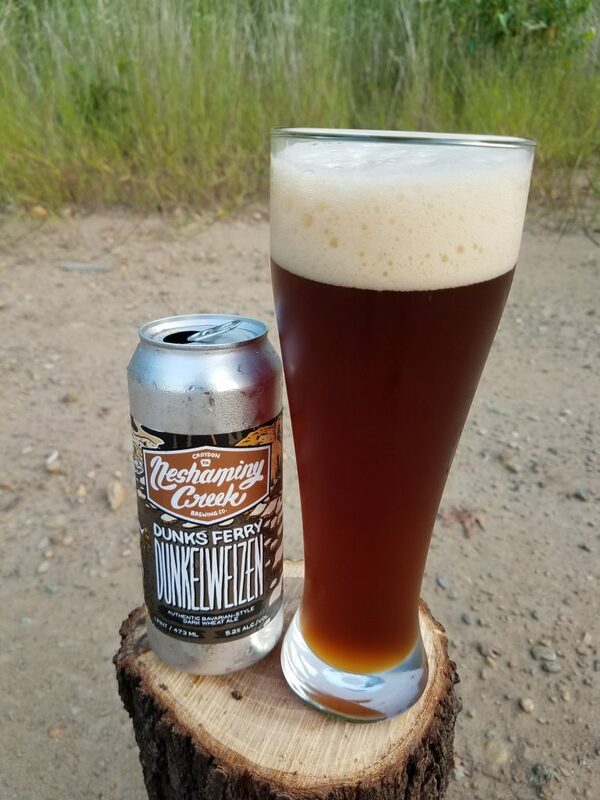 Dunks Ferry Dunkelweizen is named after the Revolutionary War landmark that lies along the Delaware River in what is now modern day Beverly, New Jersey. George Washington used this landmark to ferry troops and supplies across the river, which is depicted in the can artwork (illustrated by Philadelphia artist JP Flexner). Neshaminy will usually display artwork consisting of hop-humans wrestling or characters partying; Dunks Ferry is one of the only labels rooted in history. 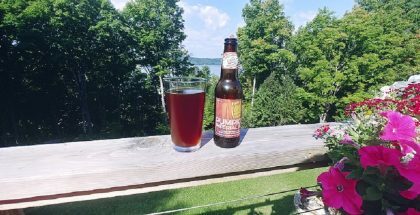 Overall, this beer is great for cooler weather with flavors of darker, sweeter malts that never become cloying and warmer spice without the addition of actual spice. 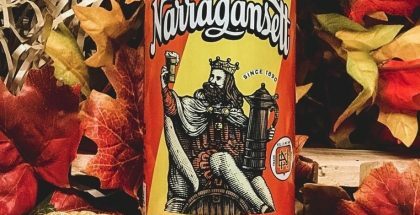 Dunks Ferry is a full-bodied fall seasonal beer suited for long sleeves and hay-rides, yet still drinkable enough to enjoy during a stubborn summer well into November.